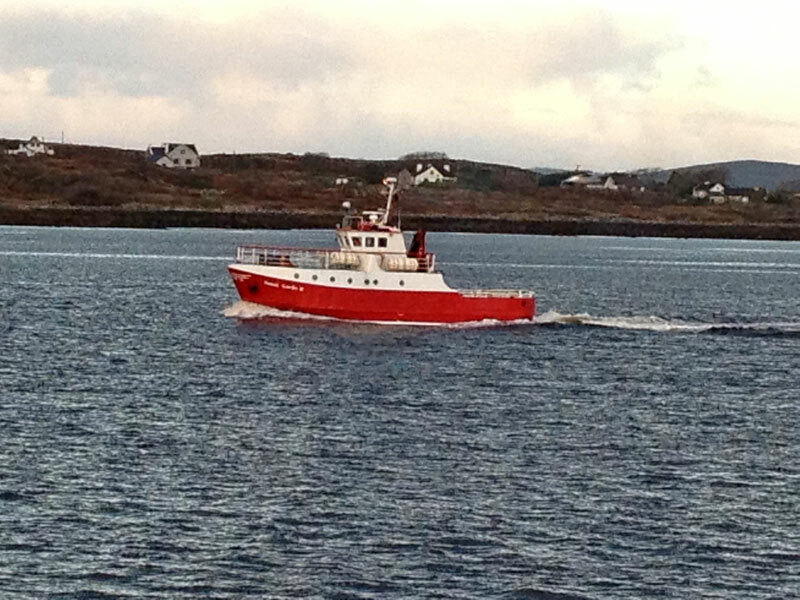 The Sea Angling grounds of Clew Bay are recognised as being among the best in Europe. 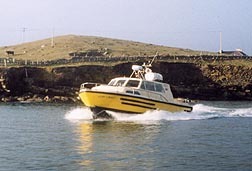 There are two companies offering angling and boat trips from Clare Island. 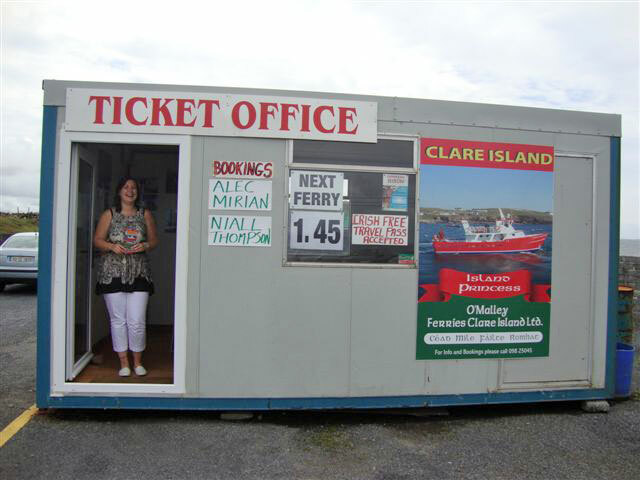 The Clare Island Ferry Company is owned and operated by the O’Grady family, natives of Clare Island, who have been operating the Clare Island Mail Boat Ferry service since 1880. 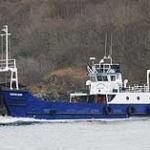 Extra sailings for groups of 6 or more people can be arranged aboard the “Very Likely”. 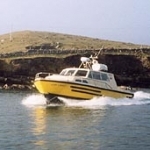 This ferry boat accommodates 12 people & may be chartered for sightseeing trips around Clare Island, trips to other islands such as Achill & Inishturk, or for diving excursions. 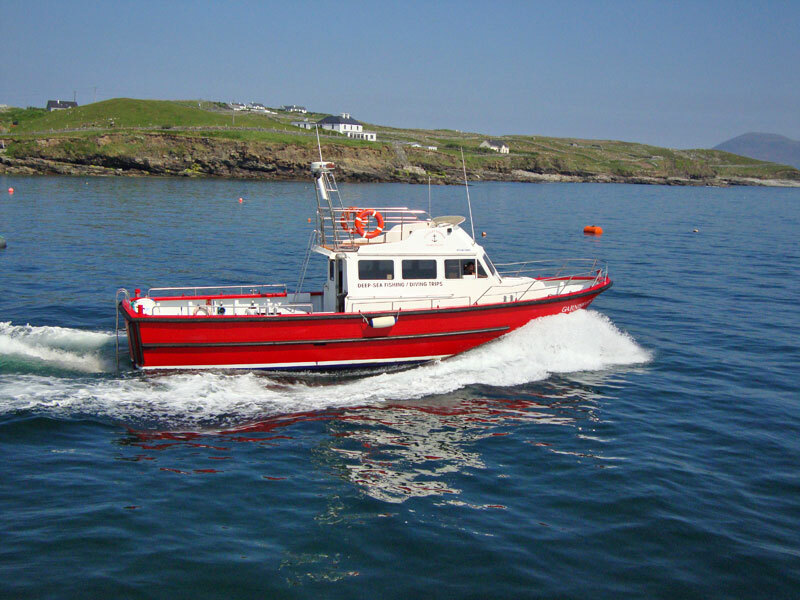 The “Pirate Queen” & the “Very Likely”are fully certified by the Department of the Marine & registered with Failte Ireland. 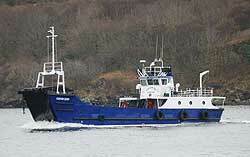 A family run company which has been offering a ferry service to Clare Island and Inishturk for almost 100 years. 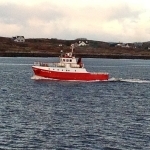 We have 2 ferries, MV Naomh Ciarán (97 passengers) and MV Garnish Glory (12 passengers). 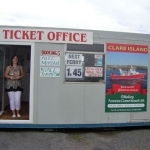 We offer a year round service to islanders and tourists alike. 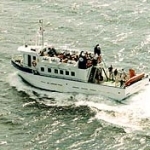 Our smaller ferry the Garnish Glory is always available to hire for angling, diving & sight seeing trips. 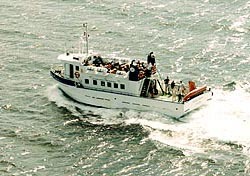 We are happy to give special offers to groups and families. 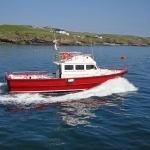 We also operate a daily service all year round to our neighbouring island Inishturk.